Gil Hibben Competition Throwing Knife Triple Set With Leather Sheath - One-Piece 420 Stainless Steel, Perfectly Balanced - 12 1/8" Length | BUDK.com - Knives & Swords At The Lowest Prices! Legendary knife maker Gil Hibben has proven time and again he’s not afraid to journey into uncharted territory when it comes to forging some of the world’s best blades, and the Hibben Competition Throwing Knife Set is just the latest example of his knack for turning traditional designs into innovative, modern masterworks of bladesmith artistry. These razor-sharp knives really go the distance; like a majestic eagle soaring on a warm updraft, these 12 1/8” Hibben throwers fly gracefully through the air over astonishing lengths, thanks to sleek, aerodynamic lines and curves, and optimum weight and balance for throwing. Designed especially for pros and competition throwing, their advanced engineering makes it easy for even beginning knife throwers to hit their marks. And with tough one-piece 420 stainless steel construction, you’ll be able to hone that aim for a lifetime without fear of corrosion or damage. 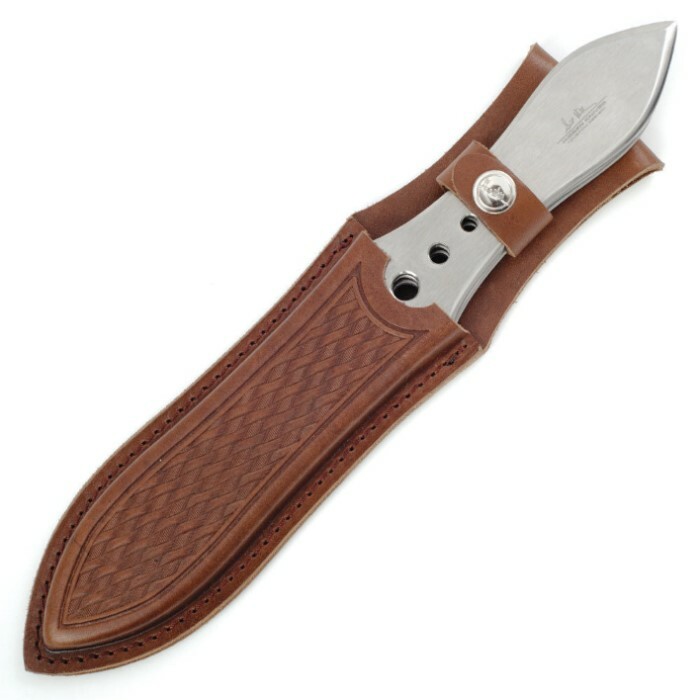 This set of three cleanly accented Hibben Competition Throwing Knives is housed conveniently in a single handsome genuine leather sheath, included along with an 18” x 18” paper competition target. If you’re a knife fan and haven’t tried the exciting and just plain ‘ol fun sport of knife throwing, what are you waiting for? 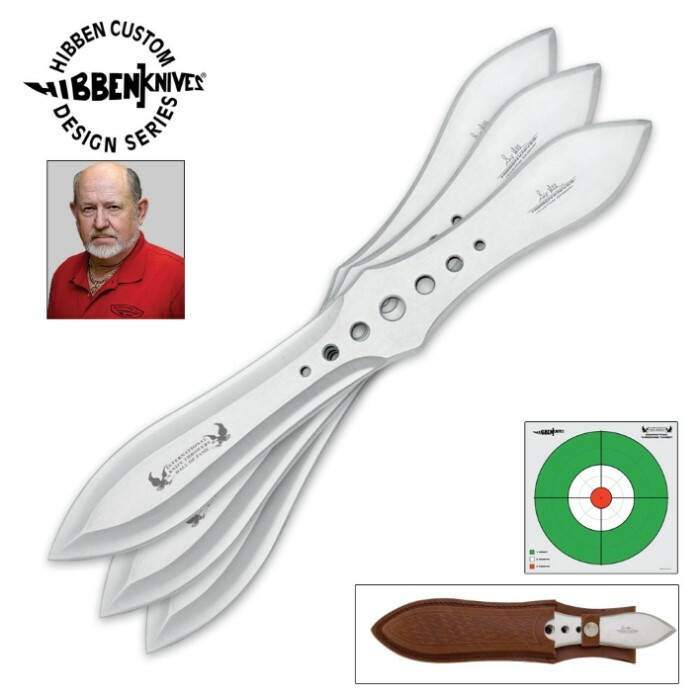 Pick up a set of these top-notch throwing blades by master knife maker Gil Hibben today!